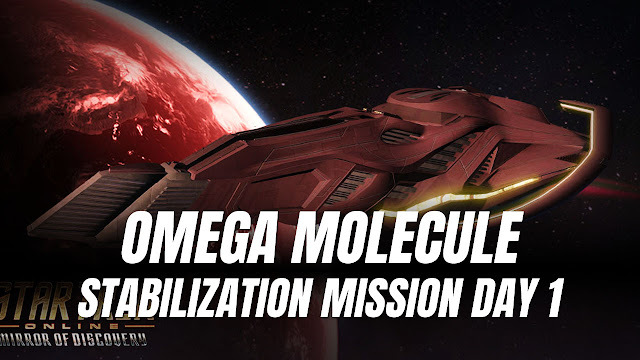 Star Trek Online 2019 • Omega Particle Stabilization Day 1 - KABALYERO - PLAY, BLOG & EARN! Star Trek Online is giving away a Tier 6 Starship called the T'Pau Scout Ship but, to get it, players must give 1000 9th Anniversary Prize Vouchers to Q. There is a way of getting 400 9th Anniversary Prize Vouchers in #StarTrekOnline and is by completing the two Mirror of Discovery missions but these two #MirrorofDiscovery missions were grayed out for me. My only choice is to do the daily Omega Molecule Stabilization missions given by Q. This mission rewards 40 9th Anniversary Prize Vouchers per day in #StarTrek Online. Want to see more? Help support the channel by downloading WTFast FREE (http://bit.ly/trywtfast) or through Streamlabs (https://streamlabs.com/KabalyeroPH) or SubscribeStar (https://www.subscribestar.com/kabalyero).